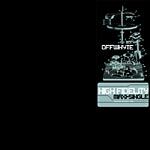 Offwhyte comes with heat on High Fidelity. It's a dope track so let your ears hear it! All songs written and performed by Offwhyte except 'Text' written and performed by Offwhyte and psiv.abs. From the lyric district. All songs proudced by Meaty Ogre except 'Text' by Dallas Jackson. Scratches on 'Text' by Dallas Jackson.